The Italian team, led by CT count, in the first three official engagements competetion for national teams showed numerous difficulties in the management of the opponents in ball idle. 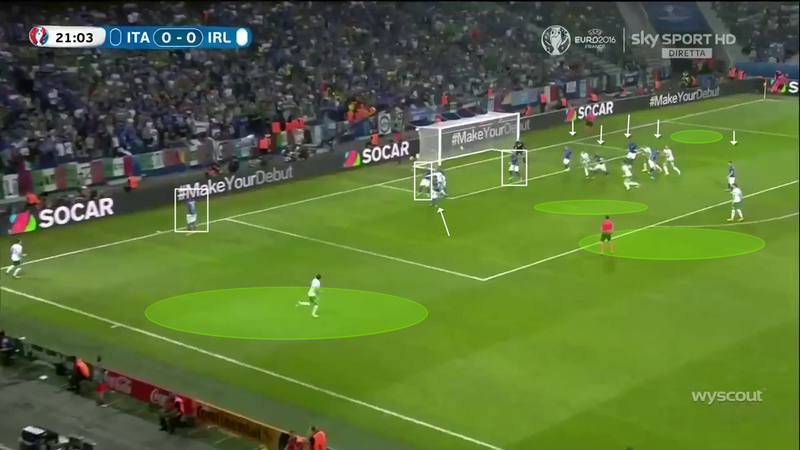 The greatest dangers for Italy came from a corner kick situations where it denoted an off-the-ball movements don't always efficient management jumpers opponents. 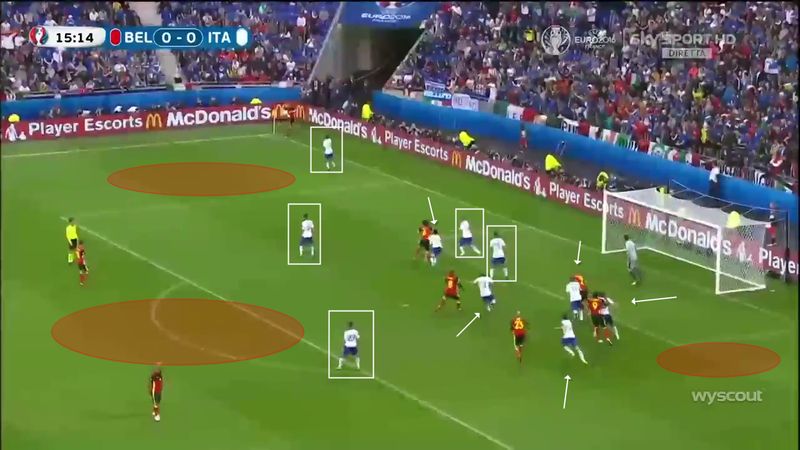 From a defensive point of view the Italy takes in mixed zone providing a number of direct markers equal to jumpers opponents and presiding over with players in batting point area, trying to bring their opponents to desist from short exchanges, and which includes the area of the near post, leaving completely undefended opposite area and extent. 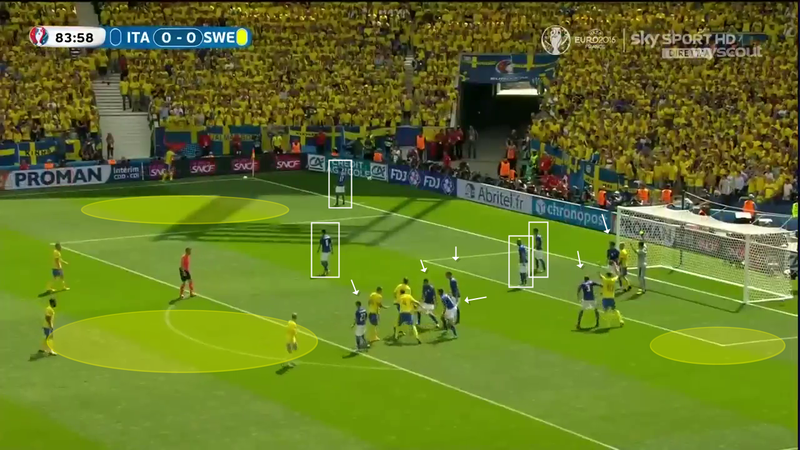 Despite this tactical attitude and good in the air, Italy defenders suffered much of the conclusions from a corner kick out of opposing finishes close behind the first pile on extra jumpers or insertions after short exchange and subsequent opponent toward the cross beyond the far post.